For what seems like the umpteenth time since he kicked off the year by claiming Ghanaian music has influenced mainstream Nigerian sound and incurring the wrath of Nigerians, Mr Eazi is back in the news again for another reckless and probably inaccurate statement on the spread of Afropop in the UK. Speaking to MTV Base ahead of his Life Is Eazi culture concert in London, Mr Eazi garrulously declared himself as the gateway artiste for popular West African music in the UK while speaking within the context of increasing global popularity of the sound. 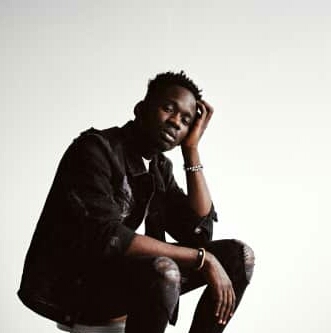 According to Mr Eazi, the work he did in London to push his Banku music, is what inspired other African artists to consider the UK as a possible market. Didn’t the MoHits, Choc Boys and Show Dem Camp crew all get airtime on BBC’s Tim West Wood TV circa 2011? Wasn’t Wizkid selling out shows at the HMV Apollo theatre in Hammersmith London in 2012? In fact, didn’t D’banj’s Oliver Twist become a global phenomenon around the same time? At this point, safe to say Mr Eazi is trying to score press points by saying the most debatable things possible to ‘spark’ conversation. While his argument on the appropriation of Banku music from earlier this year holds when fact-checked against the artistry of Fela and ET Mensah, Mr Eazi’s follow-up recourse that he inspired the wave of Nigerian artists incorporating Ghanaian mannerisms and adlibs turned out a false contradiction of his first statement. This current position he holds on the role he has played in the success of Afropop in the UK and beyond is perhaps his biggest blunder and somewhat most suspicious blunder. Despite being mutually co-dependent societies, Nigeria and Ghana have had years of rivalry, spawned of permeated inferiority complexes between borders. Given this socio-political history, it would appear Mr Eazi is using his hold on both these soundscapes to leverage cheap publicity.